문화가족 여러분의 많은 참여 바랍니다. 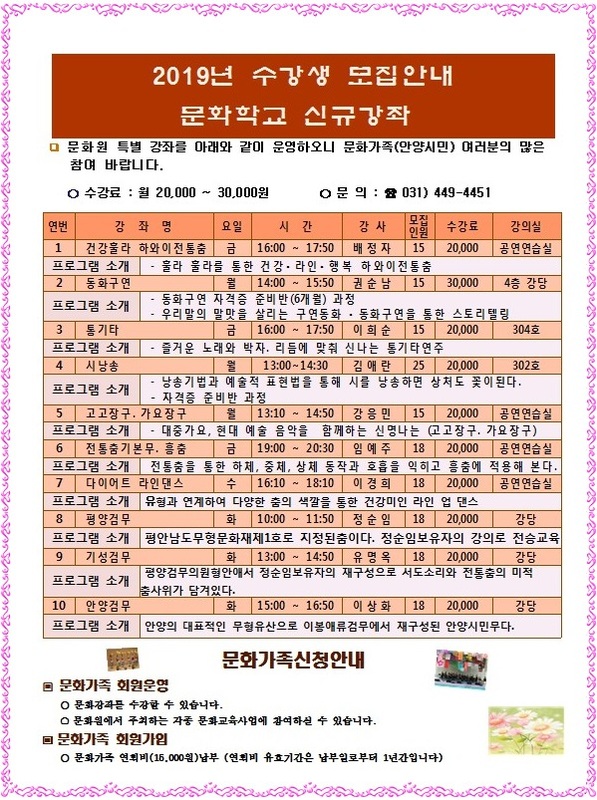 제52차 임시총회 (2019. 4. 18(목)..
copyright ⓒ anyangculture. all rights reserved.